There’s a bevy of PC brands which let buyers select a variety of options to outfit their Windows laptops for various needs. Many of the more capable machines in the market can rival most desktops in processing power and even surpass their gaming performance in some cases. But a big number of users are just looking to enjoy some casual play along with browsing and media duties, and there are a number of inexpensive models worth considering. So if you’re in the market for a reasonably priced model, and need to determine what goes into a laptop that’s good for less demanding games, here are some guidelines to consider. What Makes a Good Gaming Laptop for Under 500? For a machine balanced towards lightweight gaming and affordability, it would be a good idea to stick with integrated or low-end discrete graphics. With these lower-end components, you won’t be getting rich and super-smooth 1080p experiences with the latest graphically-intensive FPS and massive multiplayer games. But most older titles will play just fine with low to medium settings on the 768p screen resolutions which are the norm in this class. In the matter of CPU selection, you may discover that many sellers offer mostly earlier-generation Intel processors in their lower ranges. Most are Core or Celeron models derived from Intel’s regular Core range, but a few feature Atom-class Bay Trail quad-core CPUs which perform a bit slower. In general, the newer-generation processors allow for lengthier battery runtimes and normally higher performance. There are different mobile CPUs, and the more usual suffixes are U or Ultra-low power, and N or low-power dual core. The main distinction of U models is that they offer performance-boosting features over the lower-end N models, meaning U-series processors have better overall performance and can offer smoother gaming experiences. Bay Trail processors generally perform slower than the others, but are also better optimized for much longer battery life. Of the five systems reviewed, those with mobile i3 and i5 processors provide the most performance. An i5 features a faster basic clock and full quad-core physical threads as opposed to dual-core hyperthreading, although this capability rarely makes much of a difference in causal gameplay. Many demanding games can play more smoothly on quad-cores though. So if you see yourself occasionally trying some of the latest big FPS titles, you might want to spring for an i5-class laptop. All configurations offer at least of 4GB of DDR3 RAM, and the better ones come with up to 8GB. For bigger and more demanding games, that extra 4GB can make a difference in loading times and smooth gameplay. The majority of these systems come with 500GB mechanical hard drives which perform adequately for the low price, although there are a few 1TB systems on offer. Some sellers will let you upgrade certain machines with much faster SSD drives which can deliver hundreds of MB/sec of sequential write speeds, but that’s rarely justifiable in this low-end category. Models which come standard with 1TB drives are popular as these provide a lot of storage for their price. Screen resolution and size is always a personal choice. Some gamers like 17-inch or larger panels which can deliver a more desktop-like experience, but other prefer 15- or 14-inch screens for their better portability. It’s rare to find resolutions larger than 720p at this price, and the low-end graphics common at this price level will strain to drive graphically-intensive screens at 1080p anyway. While casual gaming at 720 usually works fine with Intel HD 4000-series integrated graphics, you might find some of the easier titles lagging with settings maxed out, with more demanding games usually dropping to below 30fps. You’ll likely want to pay slightly little more for laptops which feature Intel’s higher 5000- or 6000-series graphics. Don’t forget that you could always wait for current machines featuring NVidia or AMD discrete graphics to later go on sale. No one machine will let you play for a very long time before its batteries need charging. Thus you’ll need to assess a given model’s battery size in those terms before deciding, if battery life is important to you. Also keep in mind that gaming-capable laptops usually package lots of powerful and hot-running components in their small cases. When the cooling design of a model is lacking, its bottom may rapidly heat up to point of discomfort. An optical drive is a cheap addition to most machines. But many users nowadays see these as somewhat superfluous given the ubiquity of USB storage, so this would mainly be a choice driven by need. More important would be your personal desire for a good keyboard and responsive trackpad, as these will affect your browsing and work experiences on the laptop when on the go. That said, most gamers prefer to connect their favorite mice and keyboards once their laptops are stationary. The X551 is one of Asus’s lower entries in its X-series range. It’s not too heavy at less than 5 pounds and offers good performance in its class, and features a vivid screen. The Celeron processor is fast enough for basic office work and browsing and casual gaming. The laptop comes with Windows 8.1 pre-installed, which is upgradable for free to Windows 10. Like the other Celeron-based machines, this model wasn’t designed for serious gamers, but it can deliver an enjoyable experience in casual gameplay. One of the surprising things it includes is a tinier power adapter much like that included with Apple’s mobile devices, in place of the usual heavy power brick. On the minus side, the battery is non-removable. This will bring problems a year or so later once its normal 4-hour battery life starts degrading badly. The processor is a N2830 dual-core Celeron running at 2.16 GHz. It lacks Turbo Boost and other performance features of Intel’s faster Core range, but it gets the job done for basic tasks. Still, there are laptops with faster i3 processors and integrated graphics available for only slightly more. The system’s lower-end integrated Intel HD Graphics cannot run the newest and most demanding titles, but it’s fine for playing less graphics-heavy games at low quality, as well as most serious and casual games from five years ago at medium to high settings. The touchpad was only adequate and can lose some responsiveness at times. The keyboard is where costs were cut a bit - it’s not going to impress most buyers. Some portions seem to depress when the keys are pushed down forcefully, or else shake slightly when you type on it. Its 15.6-inch screen features 1366 x 768 HD resolution, and like most in this range it presents an inconveniently narrow viewing angle. Memory is a standard 4GB of DDR3 RAM. The hard drive’s capacity of 500GB is common in this range. The model featuring a built-in optical drive costs slightly more, so if that’s important to you, make sure to pick the correct one as both models look mostly identical. Wireless connectivity is standard 802.11bgn. There’s a Fast Ethernet LAN port, which can be a plus when troubleshooting connections. One HDMI port and one VGA port enables external display. There are two USB ports, one is USB2 and the other USB3. The plastic casing isn't too prone to fingerprint issues. In operation this Asus runs mostly cool with the less demanding games it is capable of playing. It’s not a machine meant for serious fps gaming or heavy video editing. With multiple applications running it can feel slightly sluggish every once in a while, but otherwise performance well enough. Average battery life with a light set of browsing and office tasks is decent at 4 hours. 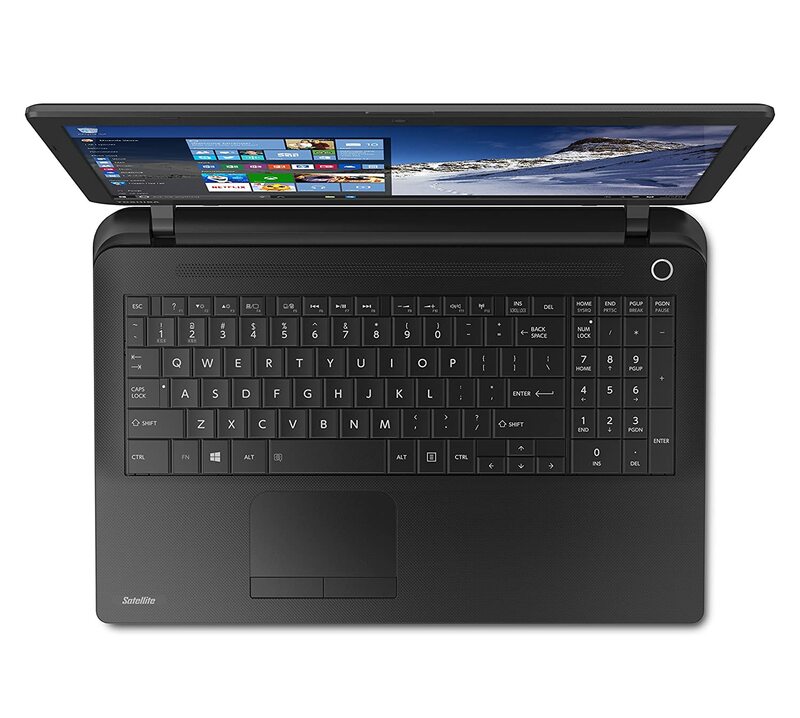 The C55 from Toshiba is one of the best basic laptops available. At less than five pounds it’s relatively lightweight for a 15.6-ich laptop, and it offers the speediest performance among the models reviewed. Windows 10 comes standard, which is a plus for those wanting to avoid a lengthy upgrade process. This model is not meant to play the latest graphics-intensive games at high resolutions, but it performs excellently at office work and browsing and is decent for a little serious gaming at low to medium quality. The processor is an Intel quad-Core i5-5200U clocked at a base 2.2GH. With Turbo Boost it’s capable of bumping up its speed on demand and it can also process 4 physical threads, which many new games can take advantage of. It’s not as powerful as a mobile i7, but it’s certainly faster than cheaper Celerons. Its Intel HD Graphics 5500 is one of the faster integrated graphics available. Users can enjoy some demanding new games at low or sometimes medium quality settings, and many will find it excellent for any casual game. Most big-name titles from five years ago will also run fine at moderate to high quality settings. The touchpad is nicely centered but may not be sensitive enough for some users, although most gamers will prefer using a mouse anyway. The keyboard doesn’t flex much but some peripheral keys aren’t of full size, which may be a problem for those buying the laptop for office duties as well. The 15.6inch display has the usual 1366 x 768 HD resolution, with good color rendering. It has 8GB of DDR3L 1600MHz-specced RAM as standard, which is quite good for this class. The larger and slightly faster memory helps when many big applications are running. It features a 1TB 5400 rpm hard drive, which is excellent for a budget laptop. The wireless module is standard 802.11bgn. There’s a single HDMI port, but no VGA port. Two USB2 ports and one USB3 port plus a card reader offer many expansion options. This laptop’s plastic frame is somewhat sturdy and does not readily flex or squeak much when twisted on edge. Toshiba’s traditional build quality was de-emphasized to deliver a faster machine at its price point. That said, it’s built as well as any in its range, and does perform better than most. For many budget buyers who aren’t going to put it through many hard days, that’s a valid trade-off. There’s some plastic covering the casing’s top edges which renders them somewhat sharp, but once stripped off everything is fine. The speakers deliver good sound volumes. Battery life with a mix of office and media playing tasks at 4-5 hours is good at this price level. 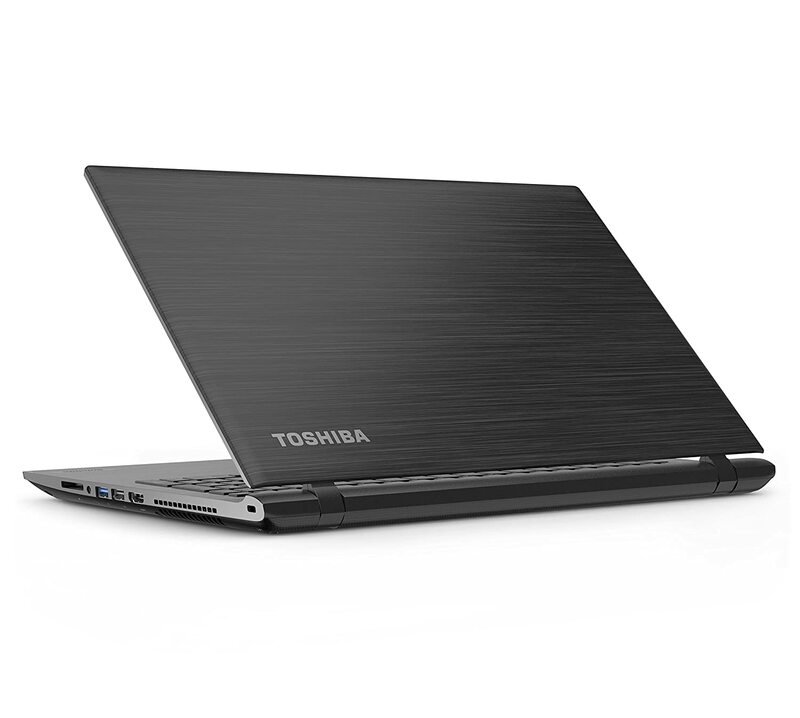 Of the two Toshibas, the C55 has the more modest specifications. At less than five pounds, it’s not too weighty. 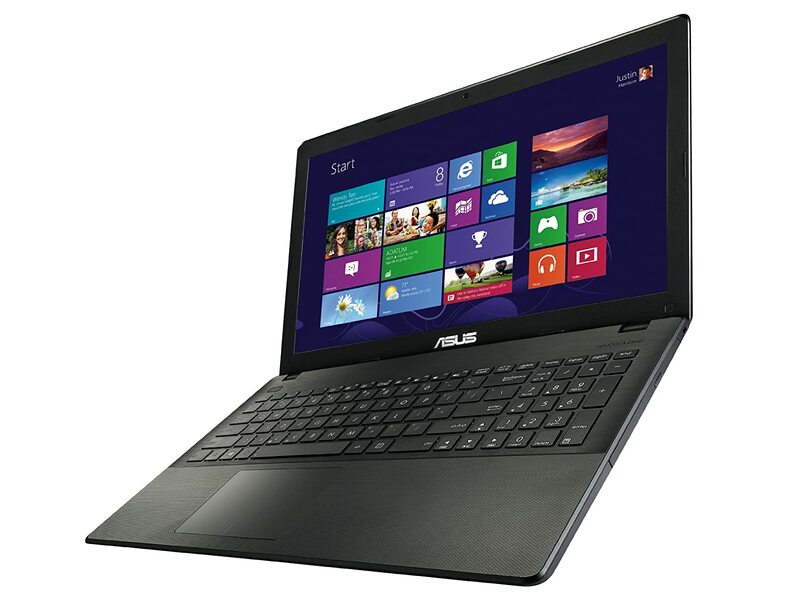 Its Intel Celeron processor has enough power to turn out documents, browse sites, and play media and easy games. Windows10 is pre-installed, and the unit comes with a 90-day support package. Like other Celeron-based laptops, this Toshiba isn’t meant for heavy-duty gaming, but casual players will mostly be fine. Its processor is an Intel N2840 dual-core Celeron clocked at 2.16 GHz and with no Turbo Boost, hyper-threading, or the other performance elements of Intel’s faster processors. The Intel HD Graphics isn’t able to launch the big graphically-demanding titles, but it’s good enough for light casual gaming at low settings, and can run most games from more than five years ago at moderate to high quality. The touchpad was responsive enough, and the keyboard is sturdy and comfortable to use. Its 15.6-inch HD display has a resolution of 1366 x 768 and is clear and bright, but its viewing angles aren’t the best. It offers a standard 4GB of DDR3 RAM. The 500GB hard drive is normal at this price level. A DVD+RW drive comes standard. Wireless connectivity follows 802.11bgn standards. It also has a Fast Ethernet LAN port, which is useful for network troubleshooting. There’s an HDMI port and a VGA port for external displays. Of the three USB ports, one is USB2 and two are USB3, and a multi-card reader is built-in, which is more than the usual number of expansion options at this price level. This Satellite is one of the more basic models, but it does allow more USB expansion than the others. It’s not going to be great for serious video editing or gaming, but then it wasn’t designed to be, and its cool operation in what it does well is welcome. For basic office work, browsing and media, and lightweight or old games, it offers enough performance in its range. The battery is non-removable, which could increase its maintenance costs later. It has decent battery life of about 4 hours with a mix of light tasks. If you ever wanted “real” Windows running on a hybrid of laptop and tablet, this iRULU fits the bill. This iRULU is a fairly lightweight tablet PC hybrid which weighs just 2.4 pounds with the keyboard attached, and its 10.1-inch screen is bright and sharp. Its Intel Bay Trail CPU is fast enough to do office, browsing, and media player duties. Windows 8.1 is pre-installed, which can be upgraded for free to Windows 10. A user should ask if he’ll be happy with using touch-enabled Windows frequently. It helps here that the system comes with a one-year license for Microsoft Office 360 plus lots of cloud storage, which is a great deal for office users. The processor is a quad-core Bay Trail SoC which is quite advanced for its class, but it’s nowhere near as quick as one of Intel’s higher-range Core processors. The tablet’s low-end Intel Graphics and processor combination is hardly able to launch the newest graphics-intensive or massive multiplayer games, but the majority of casual games should be able to run at moderate quality. Many games which are more than five years old can be played at moderate to high settings. Its bright and clear 10.1-inch HD display has a 1280x800 resolution that’s good for viewing and editing documents, it has decent viewing qualities and renders colors nice enough. It comes with only 2GB of RAM, which however is sufficient for most tablet uses. A single USB2 port and a multi-card reader port round out its few expansion options. The Windows system image takes up almost 9GB of the internal space of 32GB. Once all the latest system and office update packages are installed along with the latest antimalware definitions you’ll be looking at no more than 14GB of free space left on the drive. Adding a 64GB or larger-capacity micro SD would do wonders for increasing its memory and storage performance. This hybrid needed less than a minute to boot to logon, and Office 360 runs reasonably fast with infrequent slowdowns only when multiple browser pages and applications were open, so it’s fast enough to handle many tasks simultaneously. The unit ships with a thin plastic film on its display panel which should be removed to enhance screen clarity, and besides a protective screen layer is already installed. 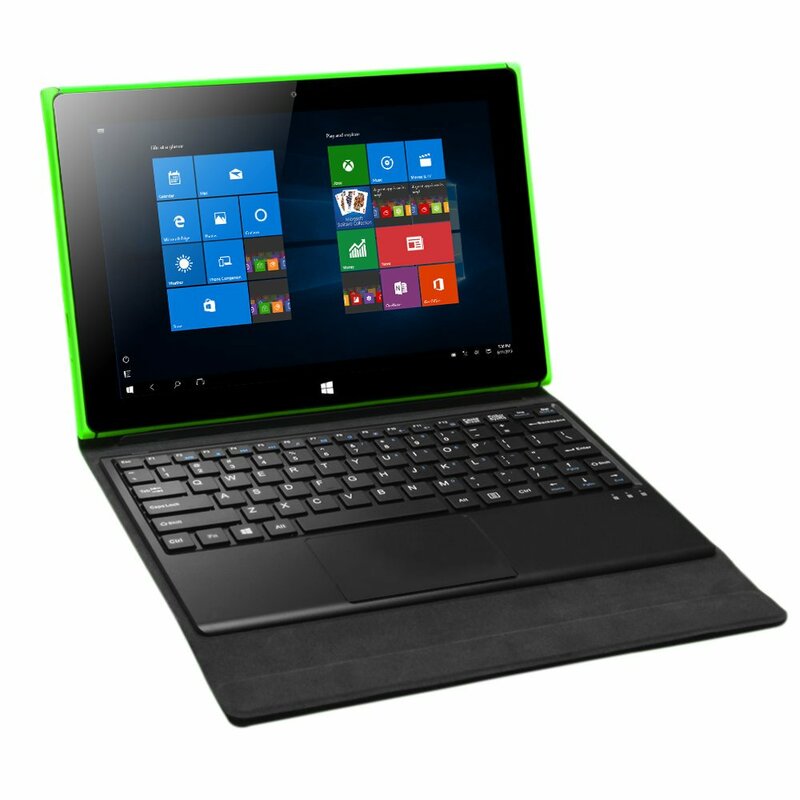 This tablet hybrid would be an inexpensive yet good choice to equip young schoolers with, especially as it runs full-on Microsoft Windows with its many rich applications, including a year’s worth of Office 360 and cloud storage. It’s good enough for some lightweight gameplay as well, although it’s definitely not for serious gamers. It delivers great battery life of more than 5 hours with light browsing and office tasks and with an hour or so of media consumption. 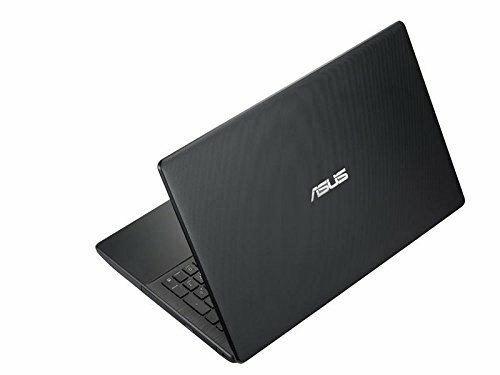 This laptop is one of Asus’s newer models. It offers a sharp screen with excellent color rendering, and the processor is more than good enough for general uses like office documents, surfing and light gaming. Windows 8 come pre-installed, which can be upgraded to 8.1 and better yet, Windows 10, which is a free upgrade for now. This Asus isn’t a superfast gaming system, but for laid-back play it’s quite decent, although the speaker system was only adequate. The processor is Intel’s Core i3 3217U dual-core chip running at a base clock of 1.8GHz. It features hyper-threading and is capable of running 4 threads, which many newer games can use. It lacks Intel’s Turbo Boost function which bumps up performance and so isn’t as speedy as Core i5 or i7 models. But it’s definitely a cut above the Celeron processor found on the cheapest notebooks. The system features Intel HD 4000 integrated graphics, which is capable of running less demanding new games at low to moderate quality, as well as most serious and casual games from five years ago or older at high settings. The touchpad was first rate and features 3-finger gesture support. The island-style keyboard has a decent keystroke feel although some of the peripheral keys are not full size, which may irritate serious typists. The 15.6inch HD display has a 1366 x 768 screen resolution. It suffers from an overly narrow viewing angle that’s less than 90 degrees, and from a little glare. It comes with 6GB DDR3 RAM as standard and is upgradable to 8GB, which is more than most models in this price range offer. This extra memory will surely help when several applications are running. The hard drive is a 500GB 5400 rpm HGST model from Western Digital. The wireless module is 802.11bgn. A DVD+RW optical drive is built-in. It comes with an HDMI port and a VGA port to attach external displays to. There’s one USB2 port and one USB3 port. AsusDVD software from Cyberlink is included for playing media as Windows 8 comes without any default player. Out of the box, the time to boot up until the logon appears is less than 20 seconds. A trial of Microsoft Word is also included, and it did not manifest any slowdowns with the browser and a few other media applications and downloads running, so the system is powerful enough for multitasking all day long. The battery is non-removable and this would result in more maintenance costs in future, but it does deliver a good 4 to 5 hours battery life. Although Windows 10 is a free upgrade, it can take long time to install the newer OS along with all the current updates. So if you’re planning to do that it’s best to start the download process as soon as possible. These days, all budget laptops are quite competent at browsing and e-mail and playing music and movies as well as typing out documents. Aside from keyboard and touchpad issues, most differ mainly in their build quality, packaged software, and their capabilities at different levels of graphical gameplay. The biggest disadvantage of buying a budget laptop is that most are now designed with non-removable batteries, which can only add to their maintenance costs further on. Among the five laptops reviewed here, the performance standouts are the Toshiba C55-C5241 and the ASUS X551 models with their higher-end Intel processors and integrated graphics. But the more basic conventional laptops have their own cooler-running advantages. And you’re just into casual games or older titles from a few years ago, the most basic laptops would serve just fine. If you’re looking for a really lightweight and handy device to enjoy playing media and look up information as you constantly moving around or transit between stops, the iRULU tablet is a decent choice. Just be sure that you’ll like Windows’s touch-enabled Modern interface and apps, as the point of such hybrids is to bring a touch experience which replaces the keyboard and mouse in situations where its tablet mode can excel. To sum up, the choice will depend on your purposes and on what you’ll require to accomplish those. With the wide variety of forms and features in modern laptops and tablets, only you can determine which latest model would best fit your needs.